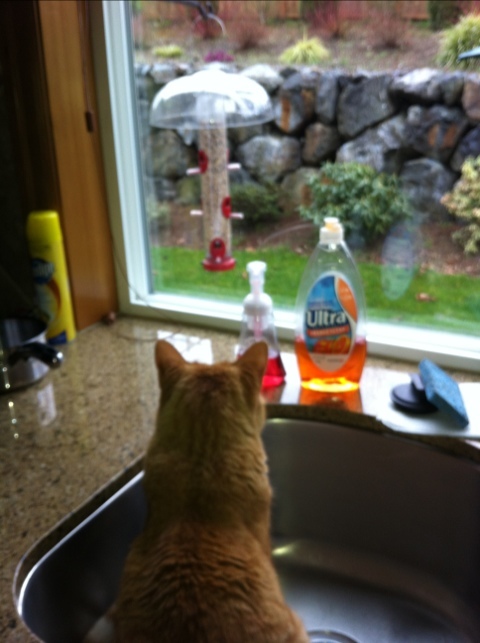 Samson, my 12 year old cat, has been hiding in the kitchen sink to catch birds who visit the bird feeder. This shows how desperate cats can get who don’t get to go outside. I just read a great story about a conversion experience a Jewish man had from Spirit Daily. You can read the testimony by clicking here. The Discovery Institute is sponsoring a presentation on Tuesday, March 13, 2012 regarding religious freedom in the United States. I just purchased a ticket and the online RSVP system said there were only 141 tickets left. It looks like it is going to be a great evening to learn more about how we can take a stand for religious liberty in our country. If you want more information on the event, you can click here.